Compatible with iPad Air, Mini, and Mini 2 with Retina Display. The Dura Tough Case continues the tradition of iGear’s Tough case line, offering multi-layer construction, and a built-in kickstand that sets up the iPad at two different angles – for movie watching or for typing. 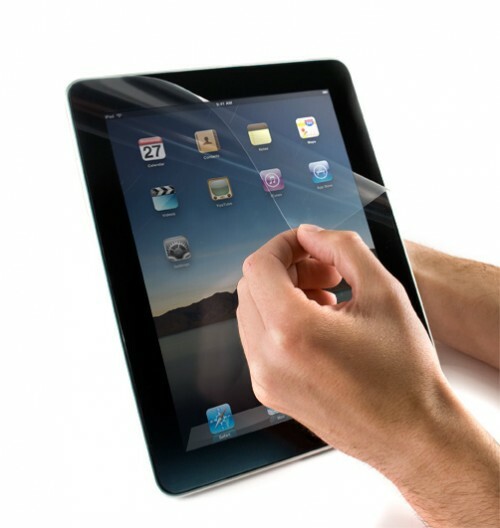 Add a screen protector for maximum protection Clear screen protector film protects the iPad screen from scuff marks, scratches, and reduces fingerprints. Recommended for use with iGear Dura Tough Case. Need more screen protectors? Click here to order separately.